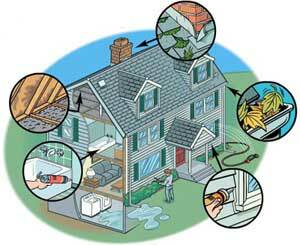 3 Brothers Waterproofing provides mold remediation services to our customers. If you have recently had a home inspection and mold was found, 3 Brothers Waterproofing can help to remediate this problem. 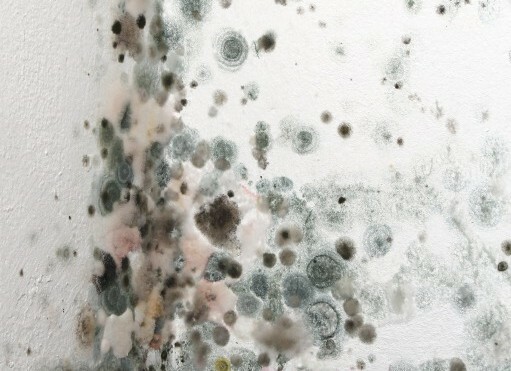 Believe it or not, we are all exposed to a large variety of many different species of mold on a daily basis. As you may or may not know, mold is a living organism, just like bacteria. If you have ever had the unfortunate luck of being in the hospital, they generally ask you if you are allergic to penicillin, because penicillin is often used as an anti-biotic (and a very popular one, at that). Penicillin is a mold, though, so it must be dangerous, right? Well, yes and know. Mold is a species which is still being heavily studied, and not everything is known quite yet. Like people, mold evolves and changes shapes, sizes, chemical structures, etc. Different types of mold of the same genus carry different properties. Some molds are deadly to certain people, while another group of people might not experience adverse effects that they will notice. Being that there are tens of thousands of species of mold, it is best not to push your luck! Combine that with the fact that 85% of most molds is invisible, and that just smells disaster (pun intended). Please read the Mold FAQ page to find out more about the problems mold may cause. 3 Brothers Waterproofing crew sets up a containment around the area of the house with the mold problem. 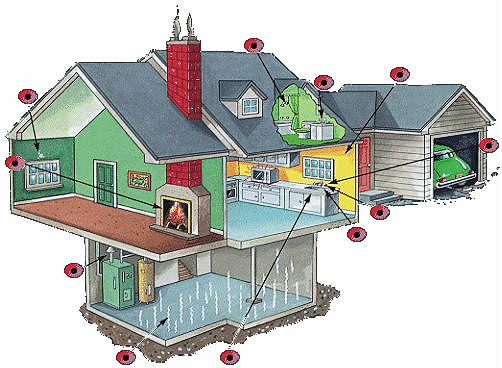 A negative air machine is installed within the containment area to prevent the mold spores from spreading to non mold contaminated areas in the home. Anything that contains mold is removed; sheetrock, carpeting, furniture, etc. All surfaces are vacuumed with a HEPA (high efficiency particulate air) filter vacuum. This vacuum removes and traps the mold spores. All remaining surfaces are wiped down with an anti-fungal solution. The best treatment is prevention, when possible. Moisture control is key. Repair any leaky pluming or other sources of water. Keep indoor humidity to 30-60% to decrease mold growth. Use exhaust fans in bathrooms and kitchens. Mold is not prejudice; whether your house was built in 1903 or 2003, if you have a moisture problem, you are likely to find mold. Mold can cause breathing difficulties and fungal infections, especially in people who are prone to allergies or who have asthma. According to ABC Newsâ€™ 20/20, â€œwhile thereâ€™s no evidence toxic mold in the home is deadlyâ€”there is increasing debate about how dangerous it might be â€“ and the Centers for Disease Control and Prevention is funding a study of moldâ€™s health effects.. Molds are simple microscopic organisms that thrive in wet and damp environments. While many molds are a necessary part of our environment, their ability to destroy and decay organic organisms makes them a problem for most people. In our homes and in our bodies, mold can certainly turn very ugly. When molds start the breeding & growing process, no area is safe from contamination. Mold can breed and reproduce at an incredible rate, and you can literally wake up one day and see a completely mold free area turned into a science experiment. It is essential to nip this problem in the bud, and prevent the mold from contaminating areas that are free and clear of it. This, however, is easier said than done, and most methods you may have heard of to alleviate this serious issue, can actually develop into food sources for mold. Leave mold remediation to the pros! 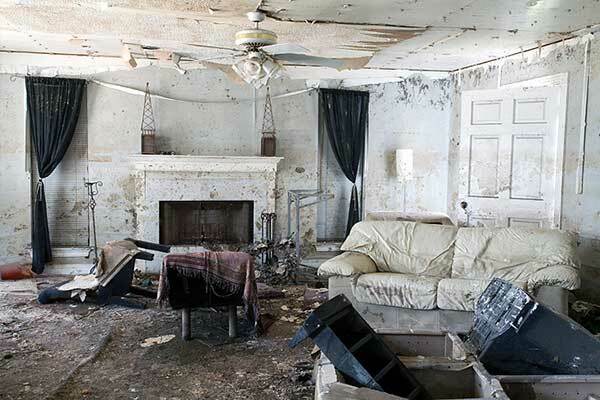 If your home has been the target of water damage, then the chances are better than good that you will be a victim of mold intrustion. 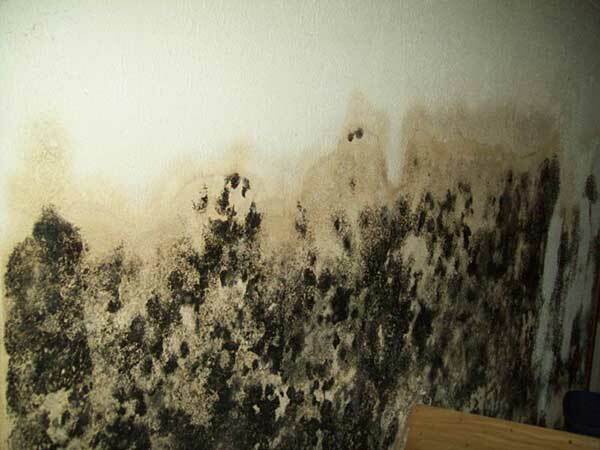 Whether your basement leaked, or you had burst pipes, or your hot water leaked, or whatever other reason that cauled dampness and humidity levels to increase, mold will begin to grow within 24 to 48 hours. The darker and the damper the area, the more the mold loves it. Not good! And unfortunately, the mold will continue to grow and grow and breed and spread (fast), until something is done to destroy the actual mold, the food source, and the toxic environment. Usually, on cinderblock foundations, if there is water damage, the blocks will develop a white, fuzzy, crystal-type substance on the block, which is known as efflorescence. This is a sure sign that there is water sitting inside the hollow cinderblocks, and mold is the next step. Mold breeding and spreading is a whole other can of worms. 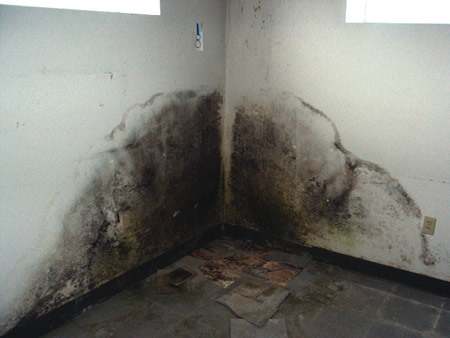 Mold absolutely thrives in damp environments. Throw into the mix a dark area, and you have just upped the chances of mold spreading by something like 75%. A dark, damp environment, is the ideal breeding ground for molds of various species. Combine that with the fact that most molds are 85% invisible, and your house may be in to some unpleasant happenings. Let's put it this way - if you have water, dampness, or high humidity levels - you will have mold. It doesn't even necessarily have to be in a basement. Mold can grow anywhere; basements just happen to be the prime environment that mold looks for. Let's say you see some dark mold growing on one of the walls in your basement, and you see it's not changing sizes, or getting more pungent, but it's just sitting there, stagnant. This might lead you to believe that it's isolated to that one area. Well, you would be totally wrong in assuming that! Anytime you so much as walk past a mold colony, you literally cause an explosion of mold spores. These spores can seep back into the walls and form a new colony, can attach themselves to your clothes, or even make its way into your ducts, and spread throughout the house anytime you turn on the A/C or the heat. If mold is discovered, it's best to avoid that area of all cost, because what may seem either like not a big deal to you, can turn in to something of an eruption of a mold breeding ground. 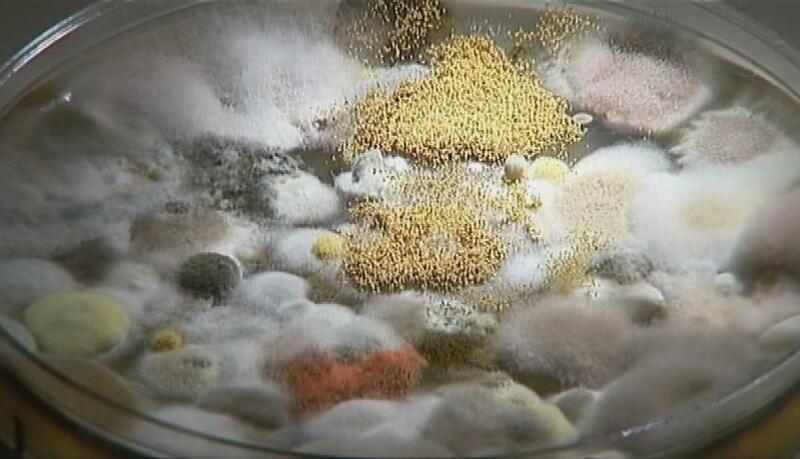 Mold wants to breed - it wants to spread. It is your job to prevent that hapenning, permanently! We are in no way, shape, or form, trying to scare you about this nasty organism. However, we feel it is your duty to explain to you what the adverse effects of mold may be. The most common toxic mold, Stachybotrys, for example, can cause eye irritation, severe allergies, aches and pains, and skin irritation. Another common toxic mold found in homes is Aspergillus, which can cause severe breathing problems, eye irritation, and disrupt bowel movements. 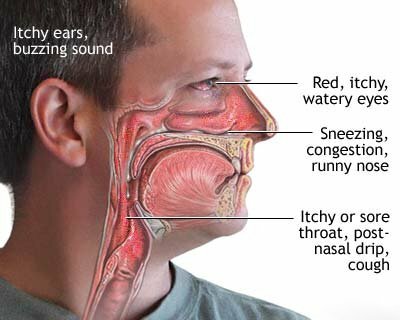 Peniccilium mold, which can be extracted to make a strong antibiotic known as Peniccilin, can wreak serious havoc in it's natural form, causeing allergies, sore throats, blurry vision, etc. 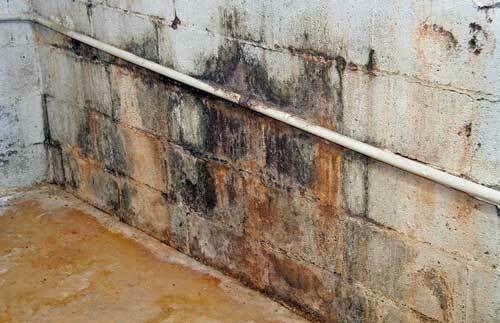 Despite what you may have heard, remediating mold is not as simple as washing it with bleach and / or soap water. As a matter of fact, certain molds can use bleach as a food source, when the bleach dries out. 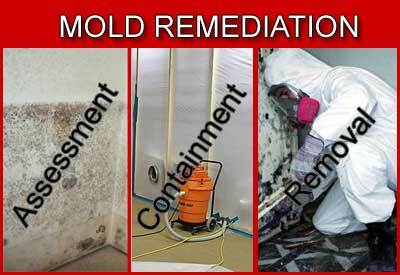 Proper mold remediation is an extensive process, and is not to be underestimates. First and foremost, the source of the mold must be eliminated, to prevent the mold from continuing to cling to living spores and form new colonies. Then, a vast variety of anti-microbial paints and biocides must be used to encapsulate the mold and provide a non-toxic environment. Air scrubbers and negative air machines, as well as HEPA Vacuums must be used to keep the mold spores from escaping into unfavorable areas of your home. To put it bluntly - mold remediation is not easy - it's not cheap - it's not fun - it IS necessary!